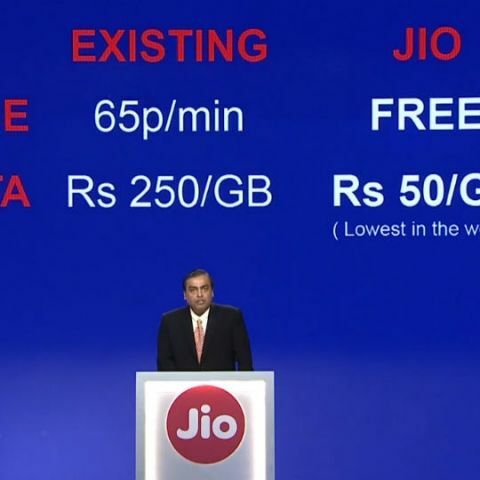 Reliance Jio has finally announced the extension of its free Jio service till March 31, 2017. The company Chairman Mukesh Ambani announced the launch of 'Happy New Year offer' which extends the free service till March 31, 2017. The announcement comes at a time when TRAI had mandated Jio to end the 'Free Welcome Offer' on December 3, 2016. Reliance Jio had made its service available to consumers on September 5 under 'Free Welcome Offer' and will be offering 'Happy New Year Offer' starting from December 4. Reliance Jio currently has over 50 million customers using 'Free Welcome Offer' and it says these customers will be migrated to 'Happy New Year Offer' after December 31, 2016. Reliance Jio has also addressed issues with calling and data speeds. While addressing stakeholders and its employees, Mukesh Ambani said the call drop issue is primarily due to competition. He agreed the lack of interconnect points is leading to call drops and said the company will fix and offer flawless service in the next few days. Reliance Jio says only 8 percent of its towers are congested while 92 percent of towers are working efficiently. It says customers connected to these congested towers are the ones facing issues with slower data speed. The company announced plans to decongest the network towers for reliable service in the New Year. Reliance Jio speeds have been all over the place since its introduction on September 5. Even with speed tests reaching 5Mbps downlink and 10Mbps uplink, consumers have complained that they have has been insufficient to load a webpage. The company says there are users who are hogging the data and leading to deteriorated service for many others. In order to curb that issue, Reliance Jio is downgrading the FUP from 4GB to 1GB with its 'Happy New Year' offer. The service will offer high speed only 1GB data everyday. After exhausting 1GB data, users will have to wait 24 hours before the high speed plan is restored. Reliance Jio 'Happy New Year' users will continue to get unlimited free voice call between any network even in roaming. There will also be high speed 4G up to 1GB per day. Reliance Jio says 'Free Welcome Offer' was a field test and 'Happy New Year Offer' is a step towards availability of paid model. Reliance Jio's users will also get unlimited access to suite of Jio apps. Reliance Jio's apps offer free access to live TV streaming, JioCinema, JioMusic streaming, JioChat, JioCloud etc. Jio is focusing on offering an ecosystem of apps that will keep users on its own platform. Reliance Jio SIM can be activated in just five minutes with eKYC and consumers can also get the SIM cards delivered to their door step. Reliance is adding more 1,000 subscribers every minute and it will now continue on this path till March 31, 2017. We will have to wait and see how the network responds post addition of new subscribers.